You may ask, "What is that?" 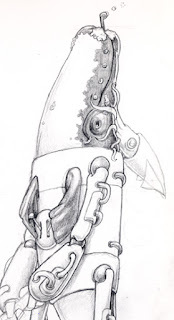 It is a Wright Whale in a robotic exoskeleton wearing a squid as a hat. This a preview of an illustration I doing to hopefully add to my illustration portfolio. 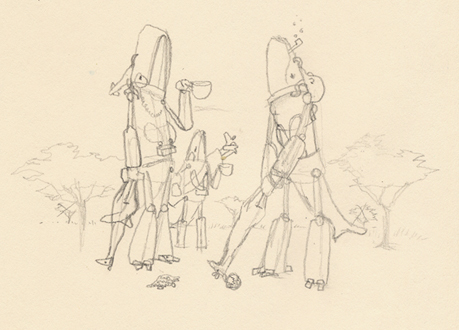 Below is the original sketch which is pretty close to the composition I want to create. The drawing (above) is just the whale on the right. I still need to draw the other two whales, the background, the giraffe golf clubs, the pangolin balls, and then color the whole thing. This illustration is pretty complex, so it may be awhile before it is complete.